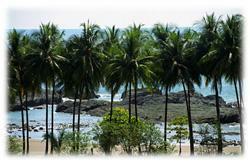 Dominical is located on the the southern Pacific coast of Costa Rica, a short drive south of Quepos and Manuel Antonio. This quaint easy-going seaside surf town is bordered to the north by the Rio Baru, to the east by towering mountains and to the south by a series of gorgeous beaches and coves. 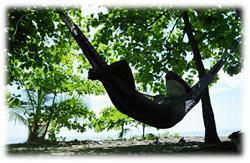 Dominical is for the traveler seeking an authentic experience. A place where the smiles are as wide as the beaches are long, and the unspoiled rainforest and shore is home to locals, ex-pats from around the world, and more bird and animal species than can be counted. 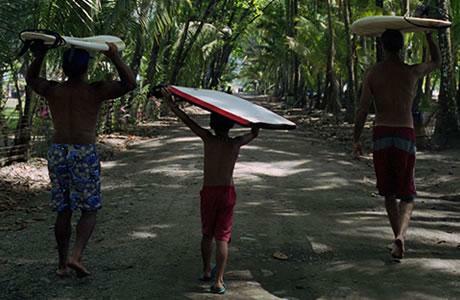 Dominical has been popular with surfers for decades because of its consistently good waves. More recently it has gained popularity for its abundance of natural beauty and outdoor adventure, such as waterfall tours and horseback riding. 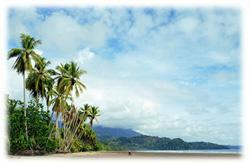 Dominical offers a variety of excellent dining options, hotels, bars and cabinas…it even has a disco! The surrounding rainforest teems with exotic animals like toucans, giant green and red iguanas, monkeys, parrots, three toed sloths and small cats such as jaguarundis and montegordos. 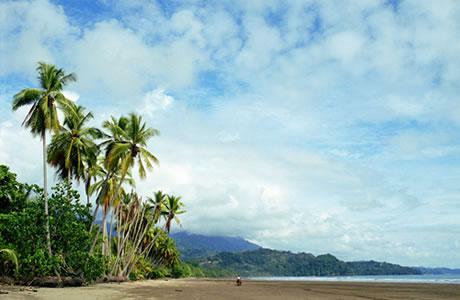 The zone around Dominical plays host to several wildlife refuges and parks, including Ballena National Park, the nations’ only underwater national park. 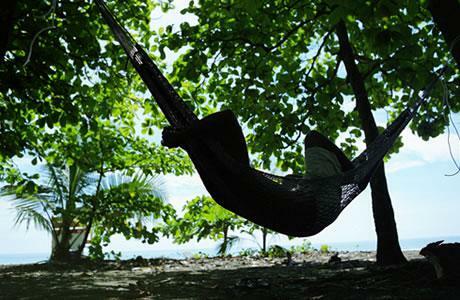 Dominical is an easy drive of less than three hours from San Jose and less than a half hour drive from the regional airport in Quepos, with regular service to Juan Santamaria International airport in Alajuela on board SANSA, or Nature Air, with service to Pavas. The first major town south of Dominical, Uvita, is a fast growing beach community with excellent amenities including three banks, two large supermarkets, an excellent bilingual school, furniture, hardware and appliance stores, pharmacies, medical services, tour operators, auto repairs, restaurants and an indoor recreation center which hosts soccer games, school events, and a farmers market. Uvita is the doorstep to Ballena National Park and the world famous Whale’s Tale and the gateway to the Southern Zone, and is just minutes from Ojochal and Cortes, which are small towns offering a variety of further amenities, such as the new hospital at Cortes and zip line tours at Osa Mountain Village. Within a one hour drive of Dominical and even as close as your front door, you can experience every imaginable experience that Costa Rica has to offer (with the exception of volcano tours - that's just a little further should you so desire). Sport fishing, river rafting, sea kayaking, snorkeling, diving, national parks, wildlife refuges, marine parks, surfing, swimming, horseback riding, waterfalls, bird watching, hiking and more - it's all right here! Playa Dominical offers dramatic sunrises to the southeast, as well as some of Costa Rica's most fabulous Pacific sunsets to the northwest. Regardless of the season, you'll be hypnotized by the beauty of this unique spot. But, there's plenty more. 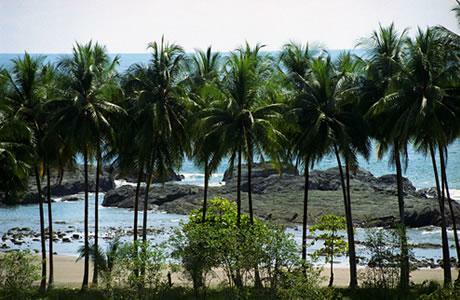 The Dominical area, from Playa Guapil to the north to Punta Ventanas to the south, provides a stretch of countless beaches, each unique in its own way, for you to explore. You can swim or wade in the surf, stroll on golden sands, kayak through caves, enjoy a picnic under the shade of coconut palms, or watch the pelicans and water fowl that inhabit the shorelines. Water temperatures in the Pacific are typically in the upper 70s to low 80s throughout the year - perfect for water sports. 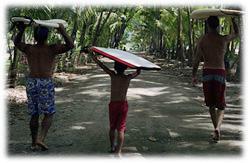 Playa Dominical is considered by both Ticos and tourists to be the most consistent wave in Costa Rica. Wave heights rarely drop below waist-high with ideal sandbars producing quality lefts, rights, and plenty of good barrels. Playa Dominical is the focal point for surfing in the area and normally sees between ten and thirty surfers in the water in the high seasons (December-March and June-August). Spa Wellness Center or Deluxe Bed and Br eakfast, the Choice is Yours! Heaven on Earth!! Dominical Real Estate agents favorite! 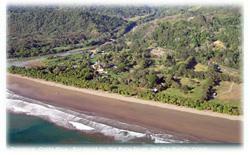 Surfer's Mecca in Dominical, now for sale!